Far better than a “You Are Here” map designation, this Christmas Cheer Begins Here at Bon-Ton tells you precisely where to begin your Happy Holiday preparations. The store stretches off into the distance with the promise of satisfying all your gifting needs. 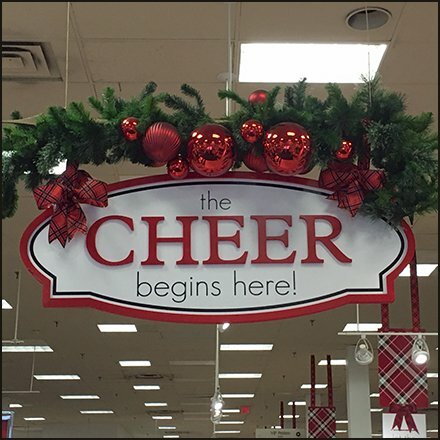 This Christmas Cheer Begins Here at Bon-Ton is certainly a warm welcome to one and all.